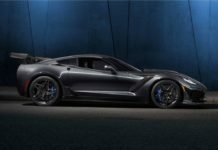 With confirmation that HSV will bring the Camaro to Australia this year, there will be an inevitable glut of articles written about the car’s amazing performance capabilities. 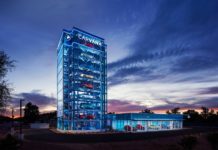 You will read about how well the car’s DNA translates well to Australian roads and how it will satiate Australia’s historical thirst for performance cars. The 2SS spec that HSV is converting mid 2018 will come with its well established credentials; a spectacular machine aimed at filling the gap left by the demise of the Commodore’s performance guise. But like the Commodore and their HSV versions before it, paper figures were really only second to what the car was/is really about; that something else, an intangible allure that can’t be matched by 0-60 times and a lap around a German race track. The Camaro is no stranger to many rental markets around the globe. Most in their tamer 6 cylinder option, but as such, is still a fantastic way for those wanting to see why you don’t need to spend European prices for performance and attitude. 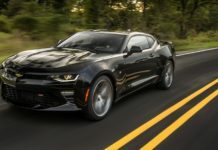 In fact, the Camaro (and it’s Mustang counterpart) continue to prove that spending more than what you can get from GM and Ford respectively, really doesn’t make any sense if you love getting bang for your buck. On my recent honeymoon the newly minted wife and I drove our way from Seattle down to LA, exploring the different landscapes, cities, towns and cities along the way. For the Seattle to San Fransisco leg, we had originally rented a Chrysler 300 for the drive. A few years ago I wrote about how important your rental car was to your holiday and I stand by what I said- make it count as part of a memorable holiday. So when we arrived at a National kiosk in downtown Seattle, it seemed like an act of fate as I was about to pick up a 300, the beautiful front grille of a Camaro stared me down from the corner of my eye. “How much to upgrade to the Camaro?” I asked. A few keystrokes later the National employee looked up and made my day; “only $10 extra a day”. Inevitably my excitement was curbed when my wife and I opened up the boot to see a space equivalent to a slightly oversized briefcase. Tempered slightly when the boot’s divider was removed to reveal that yes, there was actually enough space for all our luggage. Two large suitcases, one small suitcase and two large backpacks squeezed in for the ride. 2-door performance cars may not always put comfort first but on our drive from Seattle to Portland the I-5 was clogged worse than the Westgate Freeway on a bad day. The 3 hour drive took 6 hours that day. Crawling stop-start at 5mph in a Camaro isn’t exactly using the product as it was designed for. But surprisingly, comfort was more than plenty, and as soon as there was any break in traffic, no matter how brief, opening those tailpipes and letting out the 250kw of power was incredibly satisfying. The 3.6 litre V6 lets out a low hum as you let it loose, and while it’s not what its V8 sibling can do, it’s more than capable of letting that highway scenery disappear into yesterday. The sixth generation Camaro is always striking, and no matter where on the road trip we stopped, I always looked back every time I locked the car. It looks beautiful against the backdrop of the still snow-tipped terrain of Crater Lake, stands out like a diamond in the rough at some lost highway petrol station, and even feels at home at a campground. We had booked a few nights in a Yurt in Oregon, and the look the park ranger gave us when we pulled up to her booth in a convertible pony car was one of bewilderment and utter contempt (in a funny way). Amongst the RVs and SUVs, the Camaro held its own. Driving through the state of Oregon is a driver’s dream. 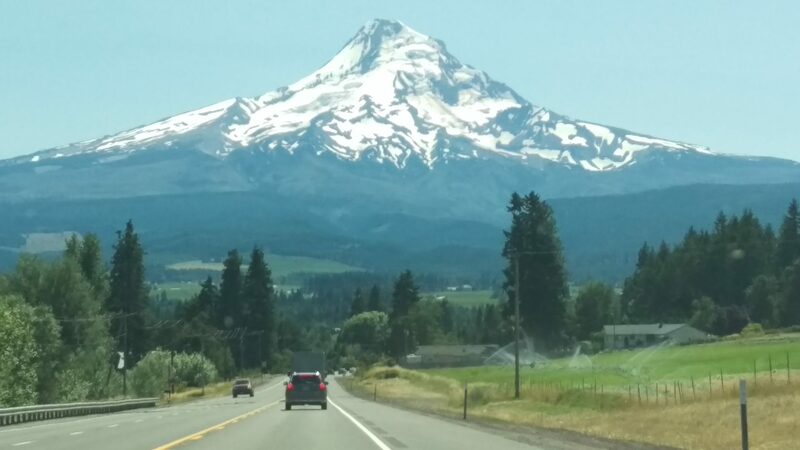 Exiting off I-5 to take the scenic route through Mt Hood and then towards Bend, the winding, mountainous region serves up a palette of driving joy. The Camaro handles incredibly well through mountains, besides lakes, through suburbia and of course, on highways. It even handled itself pretty well against tourist traffic fighting for access on a tiny one lane road near the beautiful water cascades of Multnomah Falls. Through the vast array of scenery I always felt connected to the road. And in a sense, that connection between you, the car, and the road, is really what the drive is about. As we pulled into San Francisco to drop off the ride for the next, I felt a tinge of sadness letting it go. Even the National return clerk lit up when we pulled up in it instead of a beige by-numbers SUV. The road from Seattle to San Francisco is paved with many great pieces of wilderness, lined with urban and suburban playgrounds for a Camaro to run wild. I look back through the photos and so many of them seem to have the car either front and centre or creeping in the background. It encompasses all the wonder, excitement and passion of a fantastic driver’s car. The right price, the right performance, and the right kind of grit and slightly unrefined performance. It is the quintessential machine for the American drive. We often talk about cars through their numbers. Car people are obsessed with besting times, outrunning last year’s figures, and yes, I do believe the Camaro, especially in their 2SS and blistering ZL1 spec levels can match and do all of these nerdy things. Yet for some, like me, the American pony car is more about a feeling. Performance, style, affordability and attitude. The last two qualities easily lost on some European brands. There was a moment as I stood overlooking Crater Lake that was I overwhelmed with joy and a profound sense of gratitude. I was amazed that this, one of the most breathtaking and beautiful sights on Earth was here, practically free to see, and completely accessible for everyone and anyone. I looked back to see the car I drove to the Lake and couldn’t help but feel that everything was just right. Shotstar – What the Hell is Rock N’ Roll?